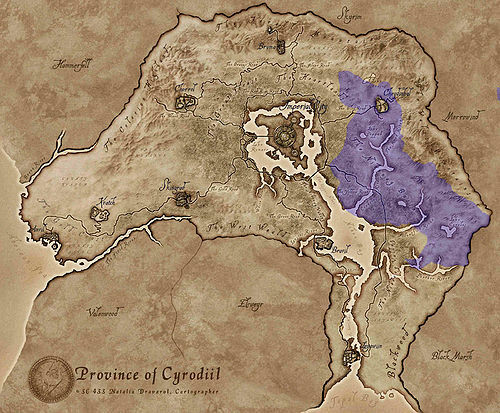 In Oblivion, the Nibenay Basin is a region in eastern Cyrodiil. The northern part of the region encompasses the city of Cheydinhal. Sundercliff Watch — A fort far east of Bravil containing NPCs and vampires (add-on-specific). The location is added with the Unearthing Mehrunes Razor official add-on, and houses the eponymous artifact. Esta página foi modificada pela última vez à(s) 05h06min de 9 de agosto de 2013.